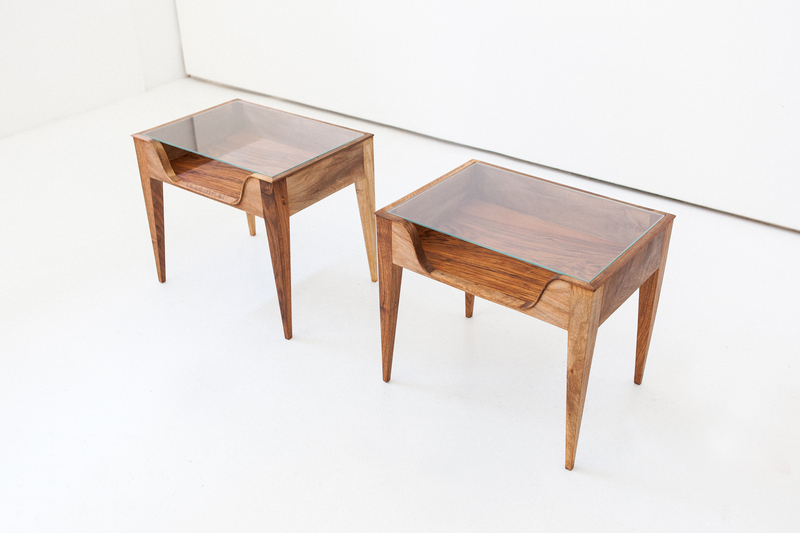 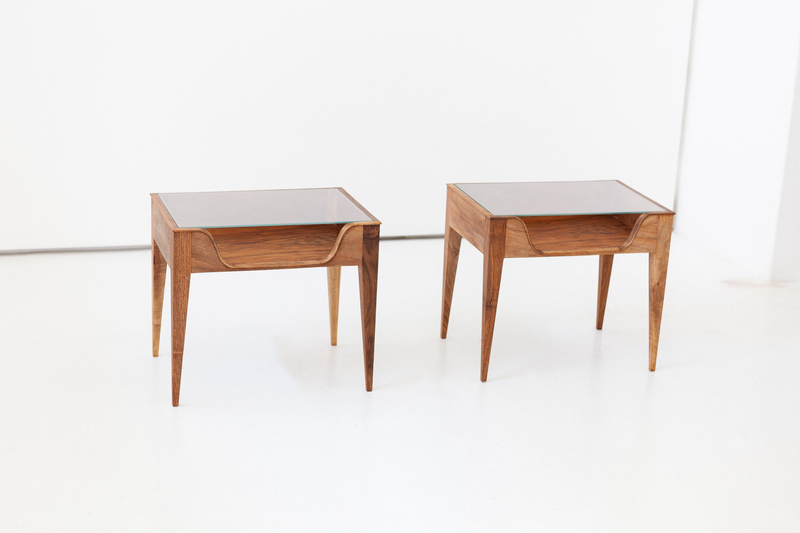 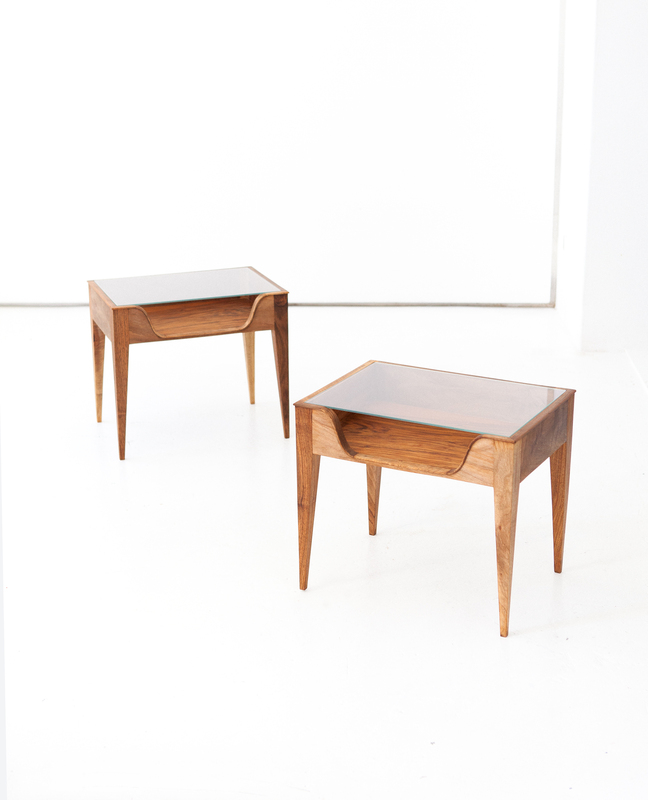 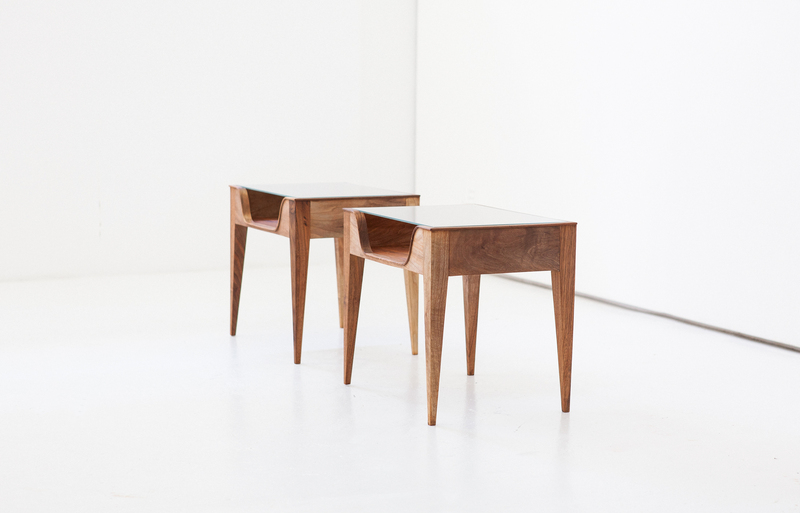 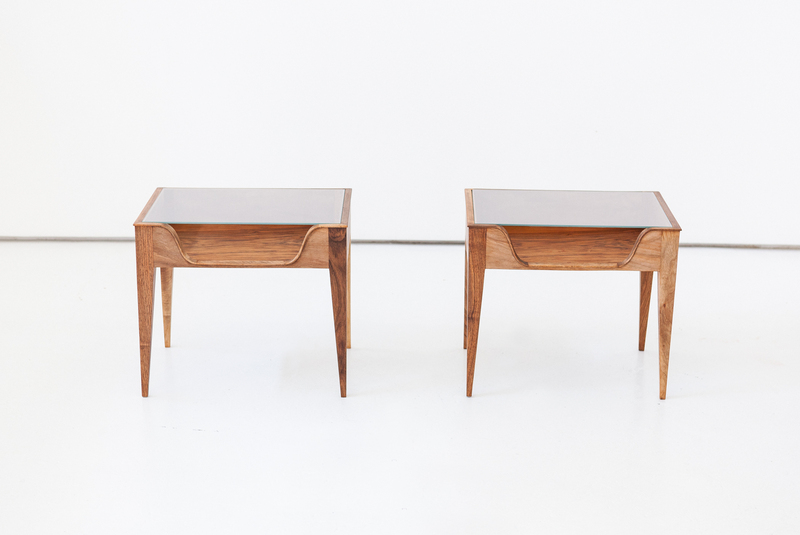 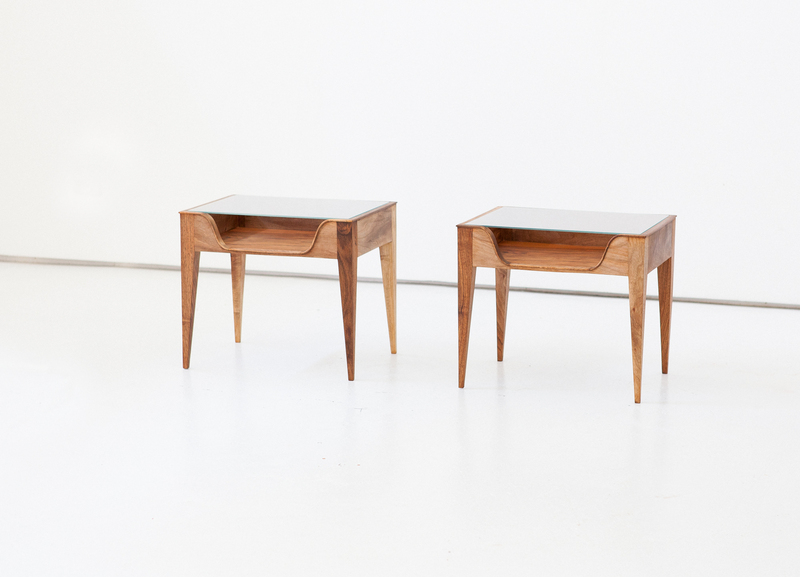 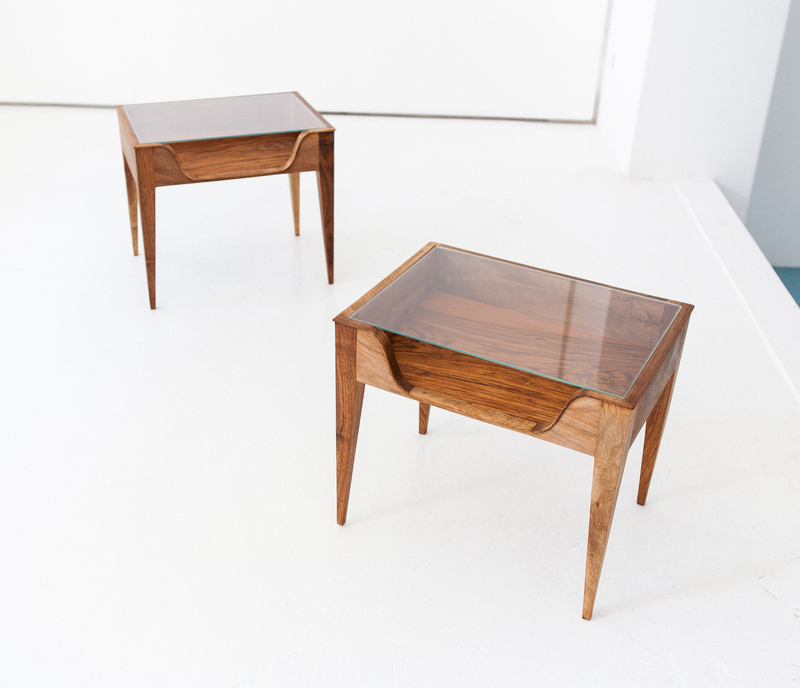 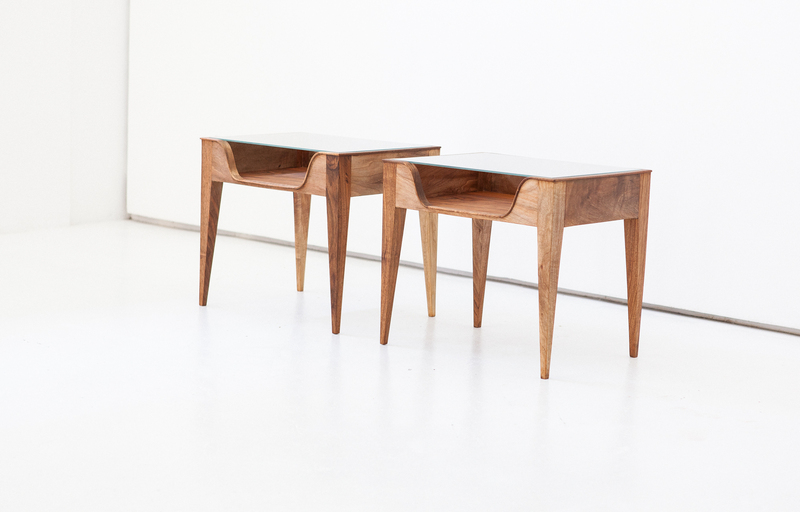 Set of two nightstands, manufactured in Italy in 1950s by Fratelli Strada . 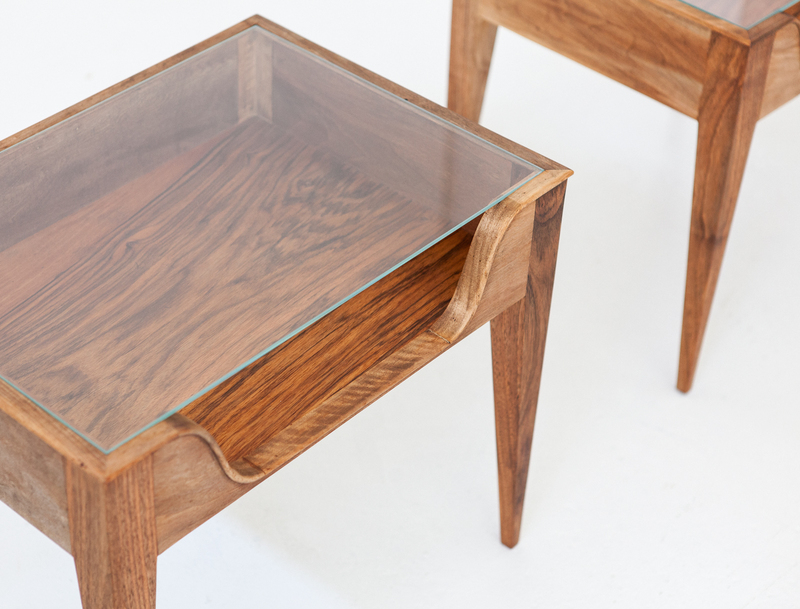 Solid wood and glass top . Airy and modern design. 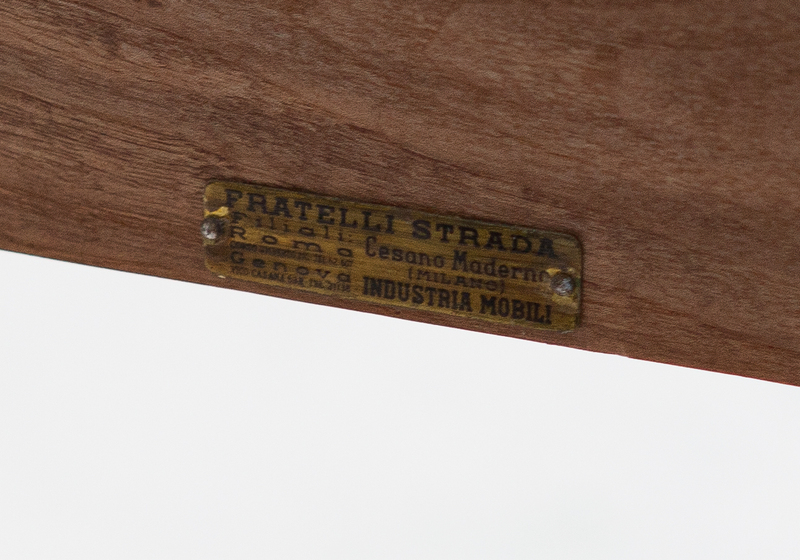 The wood is of excellent quality but unfortunately we are not sure what kind it is. 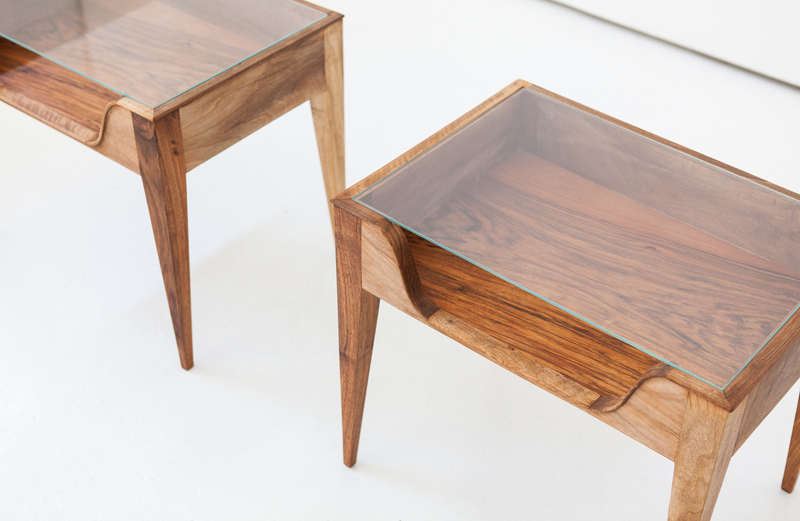 Completely restored, sanded and oil finished , It’s possible to request a different wood finish without additional costs.